This 27" Barrel shaped table lamp is one of my favourite designs. 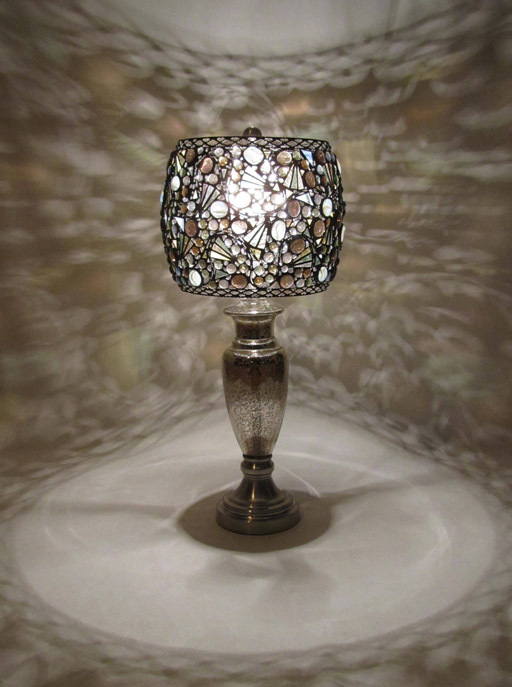 The very unique criss cross filigree design is finished with polished balls of silver solder. The shade is an open top design, 10" in length, 10" wide at top and bottom, 11" across the middle. Very soft shades of pale yellow, sea green, taupe, and clear glass.